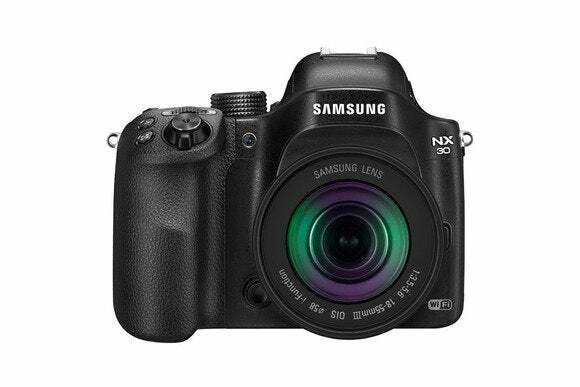 If you’re looking for a camera and want something that looks and handles like a DSLR, but you aren’t overly keen on a DSLR’s weight, consider investigating Samsung’s relatively lightweight Smart Camera NX30. 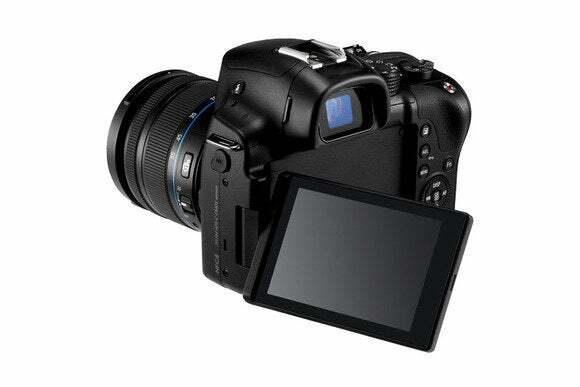 Technically, the NX30 is a mirror-less compact system camera (CSC). This 20.3 megapixel camera with its APS-C sensor offers the convenience of a point-and-shoot via its simple backplate buttons and smartphone-like touchscreen display. But at the same time, there’s enough complexity offered by its manual top plate dials and customizable settings to not put off anyone “downsizing” from an actual DSLR. The NX30’s handgrip is large and comfortable, a feature often sacrificed on smaller CSCs. The camera is also easy to handle when it comes to framing and reviewing stills and full HD video. For framing shots, there’s a choice of large 3-inch AMOLED display on the backplate, or a high-resolution electronic viewfinder (EVF) if you prefer shooting with the camera held up to the eye. The AMOLED display offers deeper blacks and better contrast than traditional LCDs, and can be angled and tilted whe required. Shots looked simply stunning on the rear screen, so much so that they slightly pale in comparison when viewed on a regular monitor. The EVF has a built-in eye sensor that switches it on while deactivating the larger screen below. In a first for this model, the EVF can be pulled outwards from the camera body and tilted upwards so photographers can look down into it—useful when shooting with the camera held low to the ground. We found ourselves mainly plumping for the larger 3-inch display—bigger is often being better when it comes to view screens. 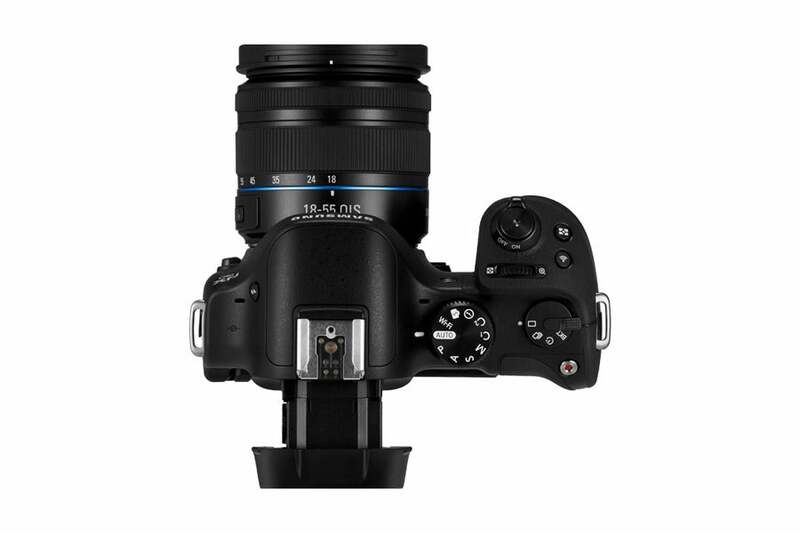 As well as being able to control the NX30 via touch screen and physical buttons, the bundled 18 to 55mm iFunction lens allows key camera functions to be operated with a twist of its barrel. This feels like a handy but non-essential extra, as there are enough physical and virtual controls already at our fingertips to make for easy and intuitive handling. Commonly used settings like ISO have their own dedicated access points. The NX30 also features Wi-Fi connectivity and NFC compatibility. Exposures were spot on when left on auto settings, and colors were well saturated, with detail maintained into the corners of the frame. With its mix of snapshot and DSLR-type controls, the Smart Camera NX30 is a device that is easy to get to grips with and will deliver great-looking shots with plenty of color and contrast straight out of the camera. While there is nothing here really that competitors don’t already offer in some shape or form, the NX30 includes welcomed features such as an eye-level viewfinder, a tilting touchscreen, Wi-Fi and NFC. The NX30 is compelling package. 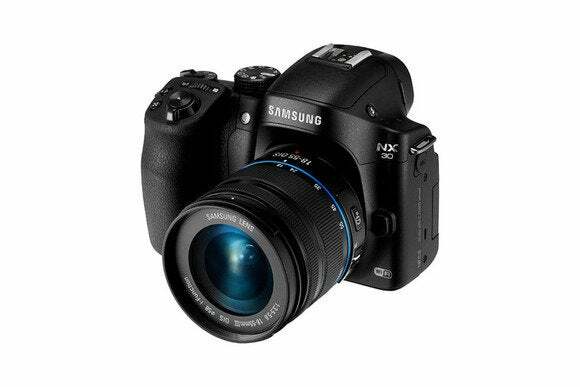 This story, "Samsung Smart Camera NX30 review: 20.3-megapixel compact system camera" was originally published by Macworld U.K..